Keep the winter outside with Polaris Engineered Parts and Accessories for the RANGER cab, specifically designed to enhance the riding experience no matter the weather. 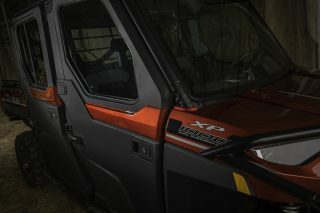 With the RANGER Pro Shield Cab System – the tightest sealing cab system in the industry – alongside a number of in-cab accessories designed to help with the cold, dark winter months, Polaris offer unprecedented cab comfort and protection from the elements with the RANGER parts and accessories lineup. 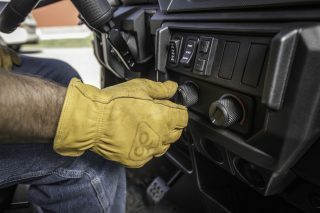 Andreas Geisinger, Manager of Polaris EMEA Parts, Gear & Accessories Business, explained: “The RANGER is completely adaptable to any riding conditions, and so the cab should be too. 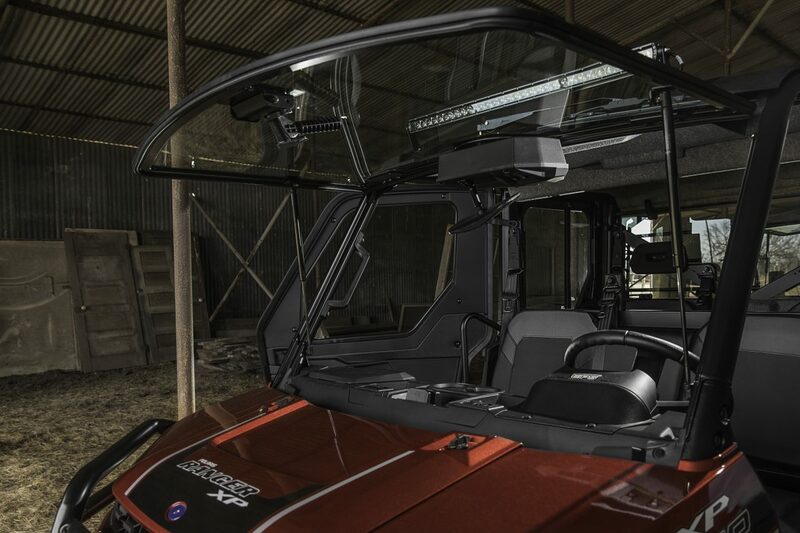 We created the Pro Shield Cab System exclusively for the RANGER XP 1000, alongside the design and development of the vehicle itself for the perfect fit. This resulted in a 360-degree gasket seal that keeps draughts, dust and moisture out, fully preparing the RANGER for anything Winter has to throw at it.”. 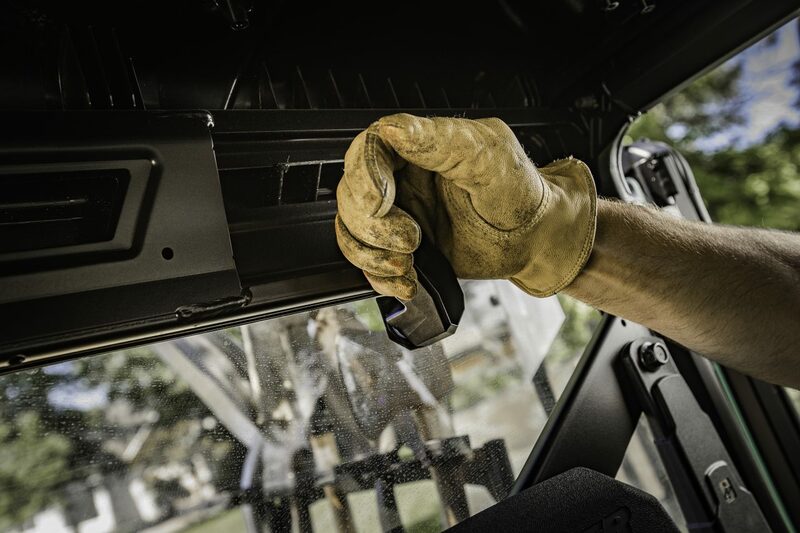 With a variety of cab components available – from roofs and doors, to windshields and rear panels – there are unlimited ways to configure the RANGER cab system for any environment, any purpose and any weather. 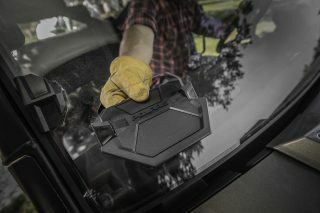 All of the RANGER Pro Shield Cab components are built with a seamless fit and Lock and Ride compatibility, giving maximum convenience with easy-on and easy-off installation without the need for any tools. Roof – A winter must-have for protection against rain and maintaining heat, a Polaris Engineered roof delivers fully-sealed coverage and advanced integrated roof water channels, directing water away from the cab even when stationary. Choose from impact-resistant poly, ultimate-strength steel, or lightweight canvas material. 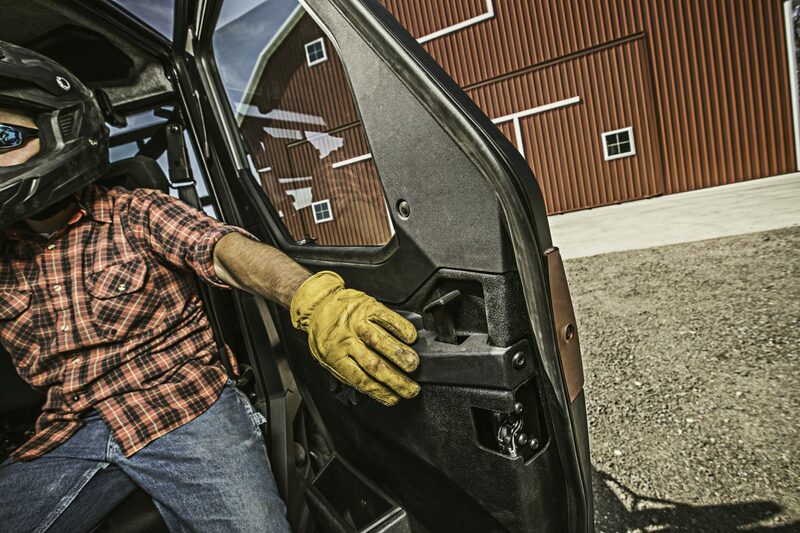 Doors – Complete the cab with the RANGER Pro Shield Cab System door line. The premium, fully-sealed doors are finished with solid latches that feel sturdy and secure, integrated storage and controls, pre-designated mounts for audio speakers, and multiple window options for ventilation. Finalise the look with exterior accent panels colour-matched to the existing RANGER collection. Windshield and Rear Panel – Keep riding regardless of weather, with Polaris Engineered windshields and rear panels. Choose from tempered safety glass for perfect clarity and top scratch resistance, standard poly for high-value durability, or hard-coat poly for 30x more scratch resistance than standard poly with extreme impact-resistance – all providing protection from dust-swirl and rain. 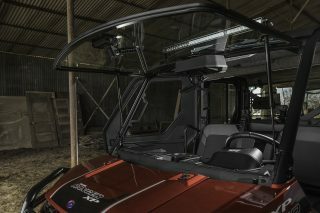 Polaris have enhanced their windshields and rear panels with venting options, to control airflow into the cab depending on conditions. Complete your preparation for winter by adding extra comfort and capability to your RANGER, with premium Polaris Engineered Cab accessories. Windshield Wiper and Washer System – Add all-weather visibility to your ride with the top-selling wiper and washer system. The 17-inch mounted kit wipes away rain or snow with ease, meaning a safer, easier ride. Operated by a simple rocker switch to wipe/spray fluid, and all mounting hardware and wiring is included. 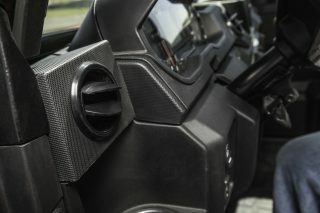 Polaris Pulse ready. 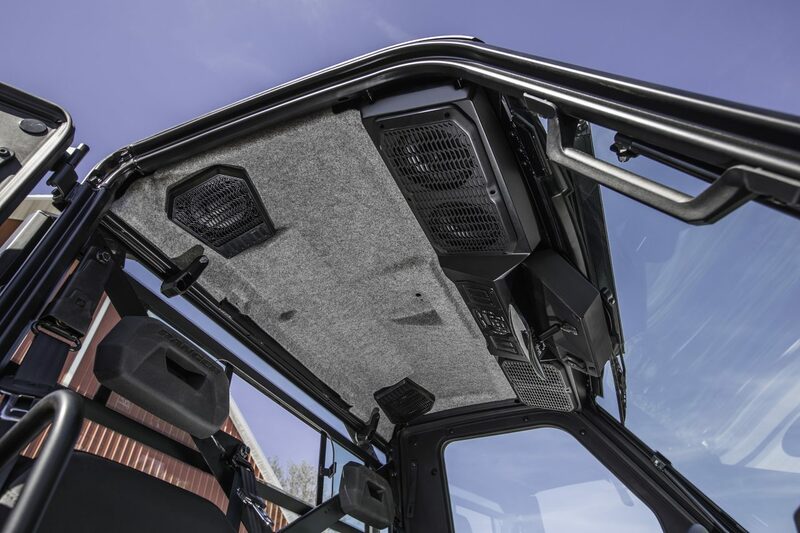 Heater & Defrost System – With eight vents for the best coverage of air dispersion, the system can be used for heating or cooling the cab, as well as defrosting the windshield. The dash-mounted controls allow easy control over the three levels of fan speed and temperature. Each vent can be manually opened or closed. Polaris PULSE ready. 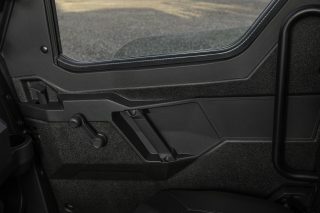 Heated Seat System – A heated seat is a premium cold-weather luxury you wouldn’t expect from a UTV, but the Heated Seat System for the RANGER is just that. Designed to fit the RANGER three-person stock seats and comes with all the necessary wiring for a straightforward installation. Polaris PULSE ready. Multi-Function Cab Light – A valuable tool with a variety of light uses in and out of your RANGER. The light provides necessary light inside the cab during the dark winter months and the LED dome can also be detached to be used as a torch where needed. The light is battery-powered but usefully recharges when the vehicle is in use. 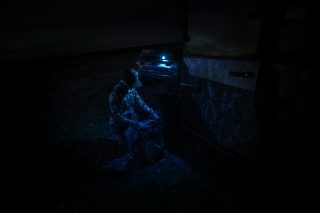 With multi-colour functionality offering white, red, blue and green LED lighting options which allow for a host of night activity – red for preserving night vision, blue for night fishing as it doesn’t produce glare on water, and green for navigating without disturbing game. Polaris PULSE ready. With over 1,900 accessories in the range, Polaris offer a number of additional solutions to get winter-ready, such as Plows and Winches. 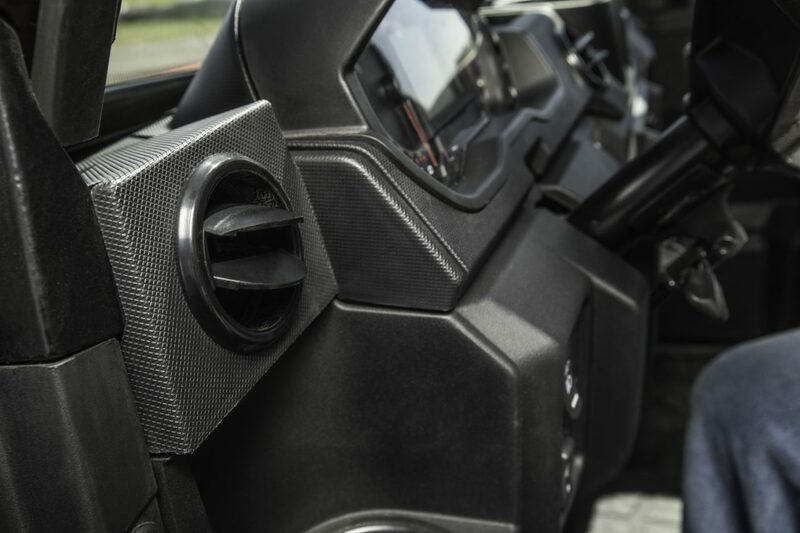 Polaris PULSE electrical system is a revolutionary way to provide additional power locations on the RANGER XP 1000, which allows for a simple plug and play approach to installing electrical Polaris Engineered Accessories. 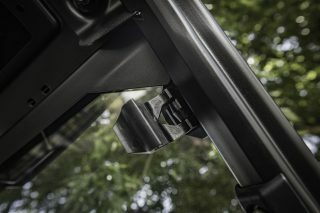 A battery connection cable is required for Polaris RANGER models that do not come with Polaris PULSE system for the installation of Windshield Wiper & Washer system, Heater & Defrost kit, and the Heated Seat system.